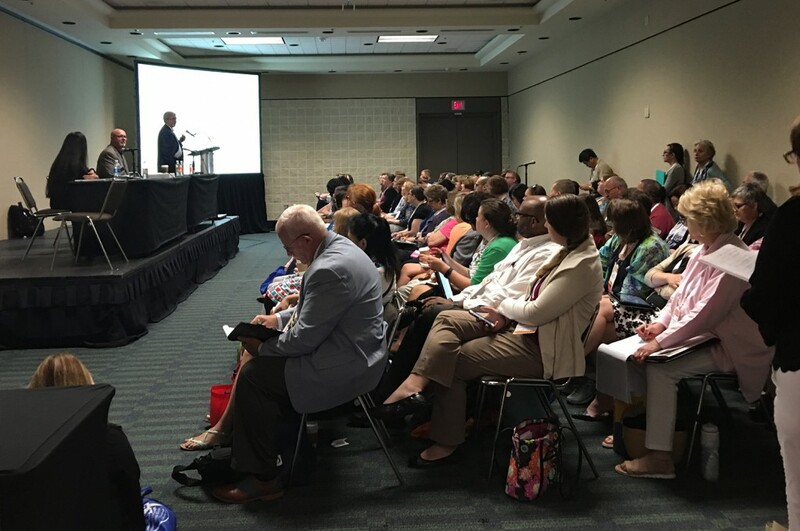 It was standing room only at the ALA 2016 Annual library app session. The way patrons use libraries and access information is changing. And, according to a recent panel discussion during the standing-room-only session “A Library App: Driving a Better Customer Experience & the Metrics That Matter” at the ALA Annual 2016 Conference in Orlando, libraries and vendors need to expand the channels they use to provide information to their customers. With 51% of users accessing information on a digital device and 80% of Internet users owning a smartphone, libraries are missing out if they’re not harnessing mobile apps and technology to reach users. Duncan Smith, Product Manager and Founder of NoveList, led the discussion, which was sponsored by Boopsie, a Demco affiliate, and the Library Information Technology Association (LITA), by stressing the importance books still play in the services libraries provide and describing a new mobile vision for readers. The process starts with the Discovery Stage, in which readers learn of a book. In the Discernment Stage, readers decide if the book is right for them. In the Delivery Stage, readers access the book through one of several channels (borrow, buy, e-book, etc.). The library has always played a role in the Delivery Stage, and continues to do so digitally as e-book lending increases. However, Smith suggested that it’s necessary for libraries to harness mobile technology to play a bigger role in the first two stages, Discovery and Discernment, by pushing out targeted book information and pulling users back into the library. With the use of mobile technology, according to Smith, libraries can do more to meet users where they are. Smith described two specific users from a group study, Jack and Julia, who both use technology to access books. Jack is an avid reader, not terribly tech savvy and likes to spend his time split between e-books and print books, both borrowing and buying. He uses his phone and tablet and would always like to know more about the library. Julia is very tech savvy and buys most of her books, though she would like to see her library become more accessible to people in her community. In each of these user cases, providing easy access to information about books and library resources through mobile technology would assist the users in each of the three reader stages: Discovery, Discernment and Delivery, and, ultimately, increase library usage. After several responses from the audience, she acknowledged that librarians initially tend to suggest all the reasons why users should use the library. Matthews reiterated that instead of focusing on the traditional ways they expect users to access the library, library staff should listen to the reasons customers aren’t using the library and consider new ways to accommodate patrons. Matthews also recommended forming partnerships with vendors to offer feedback on the features that would give library customers the best user experience and the most value. Gary Green, Technical and Circulation Services Department Head at Kalamazoo Public Library (KPL), MI, added to the discussion by describing KPL’s experience with providing a mobile library app to its customers. A staff member had designed KPL’s original app, which Green described as being “just ok.” However, when the developer left the library, they were stranded with no one to update or maintain the app. KPL then partnered with Boopsie. Boopsie developed a multi-featured app and provides ongoing maintenance. 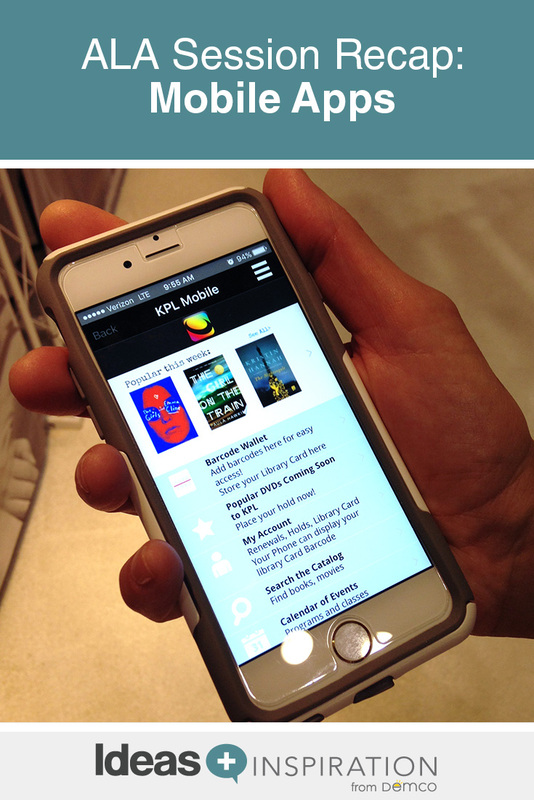 As a result, KPL increased customers’ use of this mobile technology and benefited from the metrics that the app captures, including what library resources users access the most. KPL put together a Digital Action Team to analyze the data the app provides in order to help determine the library’s future initiatives. Moving forward, the library plans to add a push notification feature to their app to continue to meet patrons where they are — on their mobile devices. As the digital landscape continues to evolve, the need for libraries to reach their customers through mobile technology will continue to increase. 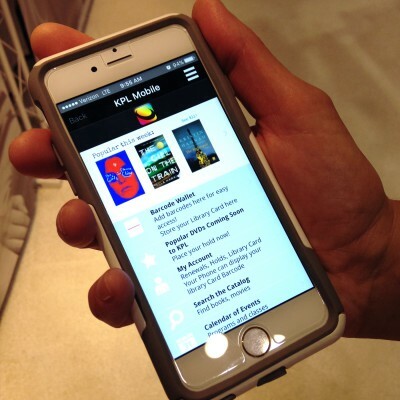 Mobile apps can provide individualized and targeted book recommendations, awareness of services and access to library resources, as well as increased library usage and important data that can be used to tailor future library services. Director of Sales for Demco Software at Demco, Inc.
As Director of Sales for Demco Software (Boopsie and Evanced Solutions), Randy helps libraries look at their unique situations and determine solutions to better serve their patrons. Previously, Randy spent the past 7 years traveling North America and meeting with public library personnel as the Manager of Sales and Outreach for NoveList, a division of EBSCO. Randy also held a number of roles in the world of banking. In all of his positions, he took pride in listening to and assessing customers’ needs and providing solutions.